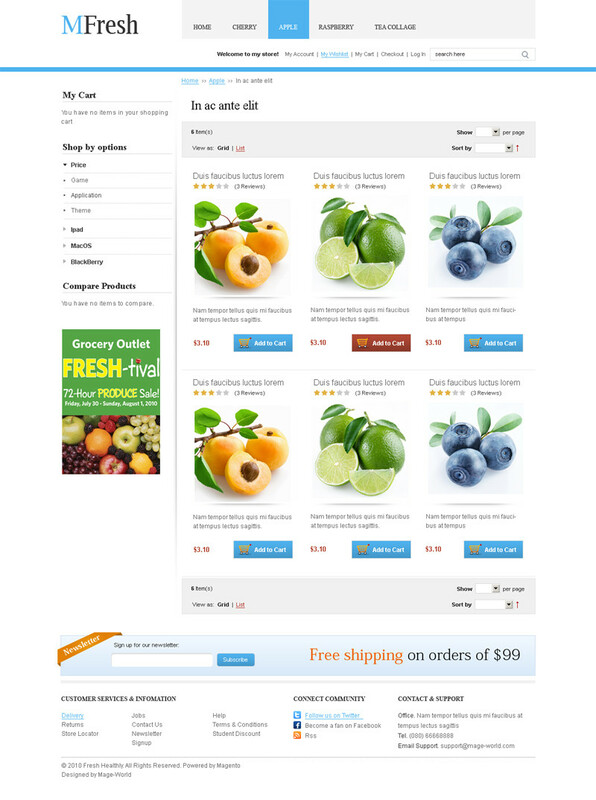 To be the same as its name, mFresh theme brings a clean, newly, and youthful web-shop so that your visitors will be attracted at the first sight. mFresh mixes the digital and natural themes, therefore, it creates the close but professional feeling. 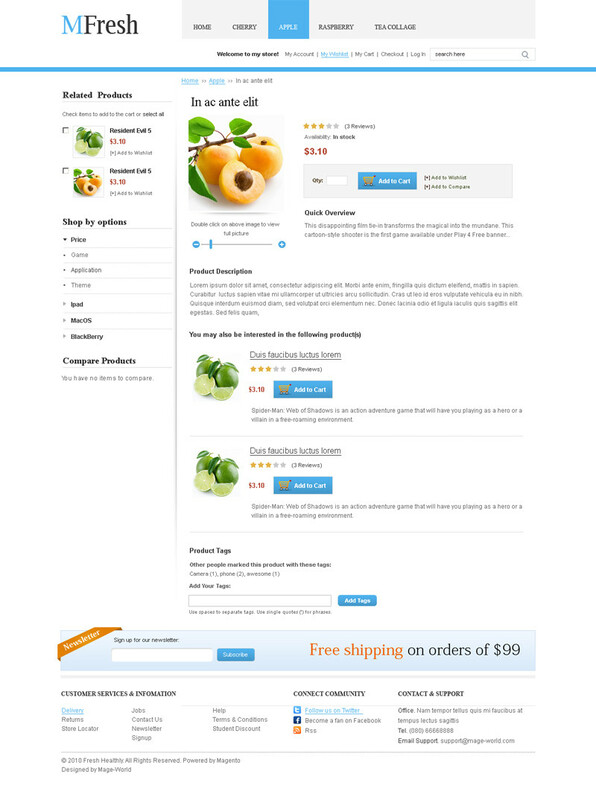 With these advantages, this theme is ideal for fruits, plants and trees, or vegetables online stores. Likewise, the compatibility with all major browers and Magento versions and easy customization with PSD file make mFresh preferred. 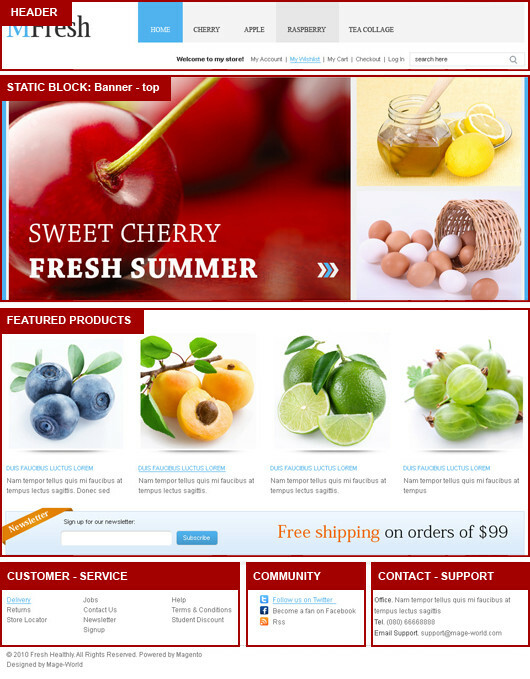 This theme uses Easy Banner extension, Easy Testimonial extension.